Provide comfort for the family of Kathryn Neeley with a meaningful gesture of sympathy. 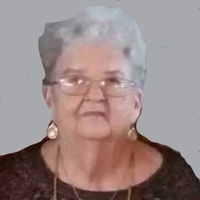 Mrs.Kathryn Lee Neeley, age 77, of Dallas passed away December 15, 2018. Funeral Services will be held Tuesday December 18, 2018 at 12:00pm at Bellamy Funeral Home Hiram Chapel with Rev. Rev Dwayne Neeley officiating. Interment will follow at Paulding Memorial Gardens. The family will receive visitors Tuesday from 11:00am-12:00pm at the funeral home. Ernest and Kathryn were married 60 years. She loved SEC football and her Team was Alabama, Roll Tide. She watched the Falcon's on Sunday and loved the Atlanta Braves. She was funny and loving and never met a stranger. She was preceded in death by her parents: Lillian and Milton Johnston. Brothers: Bleacher Johnston, Welch Johnston, and John Thomas Johnston, Sister in law, Shirley Johnston. Grandchildren : Bryce Neeley, Seth Neeley, wife Sarah, Samantha Houston, husband Cody, Brianna Martin, husband Tobyn. Brother- Jerry Johnston, wife Jeanice. Sister in Law - Geraldine Johnston and Faye Johnston. As well as many nieces and nephews. Friend and the best care giver we know and love, Dorothy Horton. To plant a memorial tree in honor of Kathryn Lee Neeley (Johnston), please visit our Heartfelt Sympathies Store. We encourage you to share your most beloved memories of Kathryn here, so that the family and other loved ones can always see it. You can upload cherished photographs, or share your favorite stories, and can even comment on those shared by others. So sorry for your loss of Aunt Kathryn. Thoughts and prayers. My Daddy was Bleacher Johnston. My daughter is Amber Stevens West. I am so sorry to hear about Kathryn Lee. My mother, Elizabeth Johnston Boggs was Kathryn Lee’s first cousin. They were close growing up. All of you are in my prayers. God bless.